How often do we drive by the same people and never realize it? 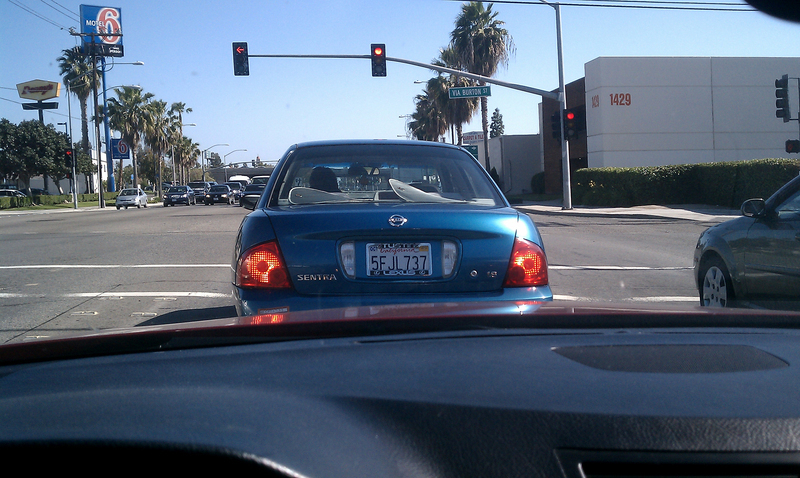 A few months ago, I posted about a blue Nissan Sentra that was driving around with a Tustin Lexus license plate frame. 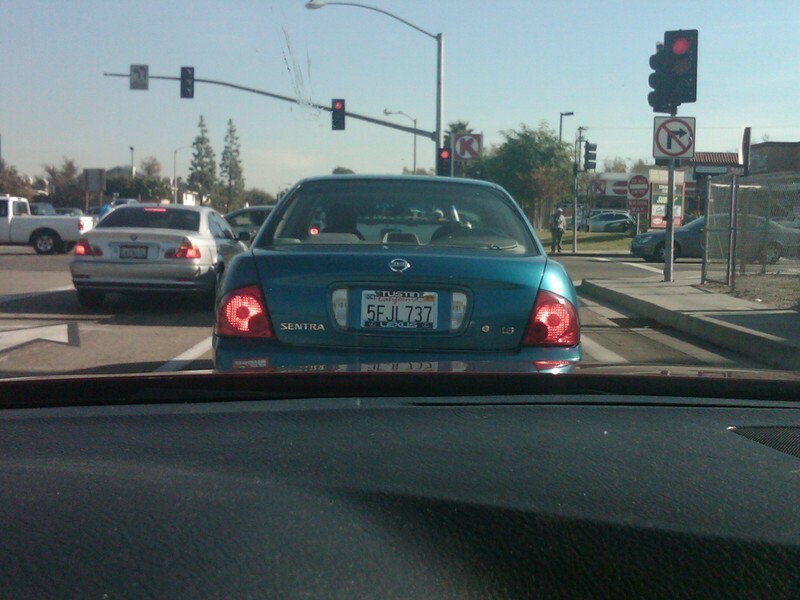 [original post here] It caught my eye because I thought it was odd to see an older model Nissan driving around with a Lexus frame. Well, as it turns out, today (4 months later) I happened to find myself behind the same car, except almost 20 miles away. And here's a map to show where I came across the same car. With the 3 million people living in Orange County, what are the odds? Maybe it happens more than we think. Ouch, one thing though: might want to blot out the license plate number. Could be some (un) funny privacy issues... just sayin. Not so uncommon if one is paying attention, apparently. Many years ago I stopped at an intersection and a Datsun 510 blaring "Shark Attack" by Split Endz pulled up next to me, and I was also playing Shark Attack on my tape player, our windows were down, so we both heard the music and had a laugh. Now some may consider that mere coincidence, but even odder was that we both arrived at that intersection TWO more times over the course of a couple of months, and both of us playing Shark Attack, it was kinda freaky. And yes, I listened to many different tapes back then, not just Split Endz.